Steven W. Anderson is a learner, blogger, speaker, Educational Evangelist, author and dad. 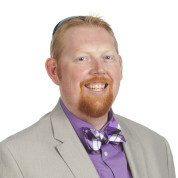 As a former teacher and Director of Instructional Technology and best known as @web20classroom, he is highly sought after for his expertise in educational technology integration and using social media for learning. Steven presents at conferences worldwide and is also responsible in helping create #edchat, the most popular educational hashtag on Twitter. "Teachers everywhere deserve to be celebrated and have their stories told. Each day incredible learning, sharing, growing and reflecting happens because of teachers. I am honored to support the Global Teacher Prize so that more amazing teachers can be recognized for the work they do."